Getting people to their destinations safely and conveniently is the goal of the safe transportation for every pedestrian—or STEP—program the Federal Highway Administration is encouraging agencies and communities to adopt during Every Day Counts round four (EDC-4). STEP features proven, cost-effective techniques that can reduce pedestrian fatalities at uncontrolled crossing locations. Pedestrians account for more than 17.5 percent of all traffic fatalities. More than 66 percent of pedestrian fatalities occur at nonintersection locations such as midblock areas, and about 16 percent happen at intersections with no signals or stop signs. In addition to improving safety and helping agencies make targeted investments that address a national pedestrian safety problem, the STEP countermeasures can enhance the quality of life for pedestrians. “We want to help provide safer crossings, but also improve connectivity of the pedestrian network since walking is the oldest form of transportation,” said Eun. STEP includes five countermeasures to get pedestrians safely across the road at uncontrolled locations. “These are proven techniques. We know they work and can drive down fatality numbers,” said Keith Sinclair, FHWA transportation safety engineer. Crosswalk visibility enhancements, such as crosswalk lighting and enhanced signing and marking, help drivers detect pedestrians. “A large percentage of crashes happen at night, so lighting is an important factor,” said Eun. Pedestrian hybrid beacons (PHBs) provide a stop control treatment at locations where pedestrian volumes aren’t high enough to warrant a traffic signal. They are a useful device for higher speed multilane roads. “It’s pedestrian activated and is only on when a pedestrian is walking across the roadway,” said Sinclair. 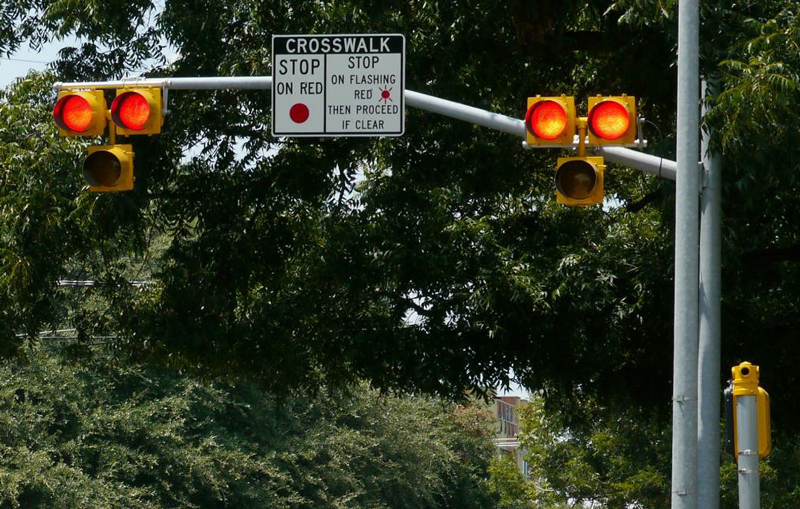 Pedestrian hybrid beacons, one of the safety countermeasures in the EDC-4 STEP program, alert drivers to the presence of pedestrians in a crosswalk. The North Jersey Transportation Planning Authority is among the organizations and agencies interested in pursuing STEP during EDC-4. Many communities and States are already benefiting from STEP countermeasures. Using road diets to enhance safety is a standard practice in 21 States and Washington, DC, and continues to attract widespread interest across the country. In Michigan, the Department of Transportation developed a road diet checklist to help planners analyze a road segment for potential reconfiguration. Michigan has road diets totaling more than 50 miles on 60 State corridors and nearly 90 miles on 94 local corridors. View an EDC-4 webinar on the STEP program. 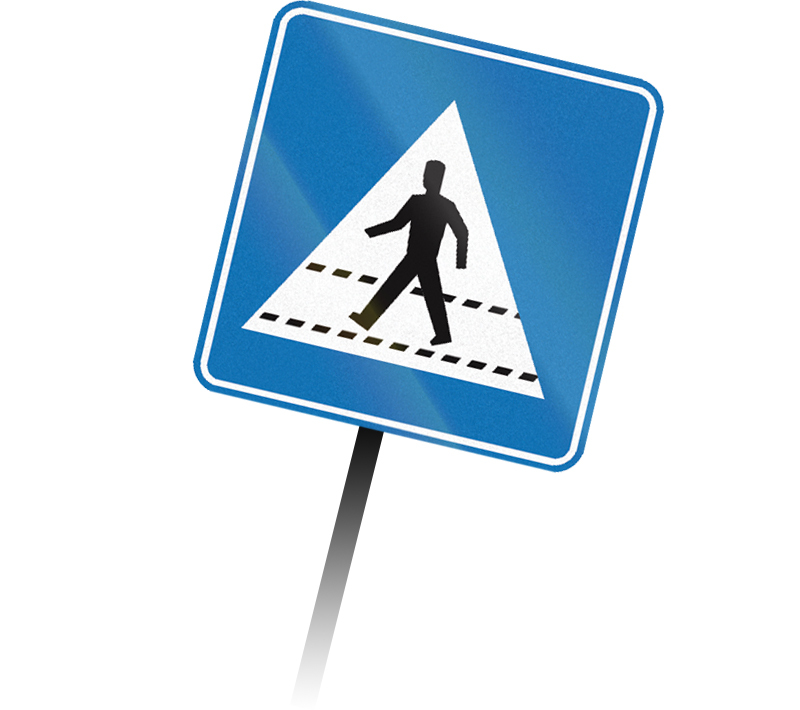 See FHWA’s Proven Safety Countermeasures Web page for strategies to improve pedestrian safety. Visit the Pedestrian and Bicycle Information Center for information on resources, planning and design tools, and training. Hennepin County, MN, used ultra-high performance concrete (UHPC) connections between precast deck panels to accelerate the rehabilitation of the Franklin Avenue Bridge, a historic crossing in downtown Minneapolis heavily used by drivers, pedestrians, and cyclists. Using precast panels allowed construction crews to remove and replace the entire bridge deck in a 17-week timeframe in 2016. Using UHPC for the connections—one of the innovative approaches the Federal Highway Administration is promoting in Every Day Counts round four—simplified construction activities and increased the quality of the completed structure. The landmark Franklin Avenue Bridge, listed on the National Register of Historic Places, is an open-spandrel concrete arch structure that opened in 1923 and was last renovated in the 1970s. 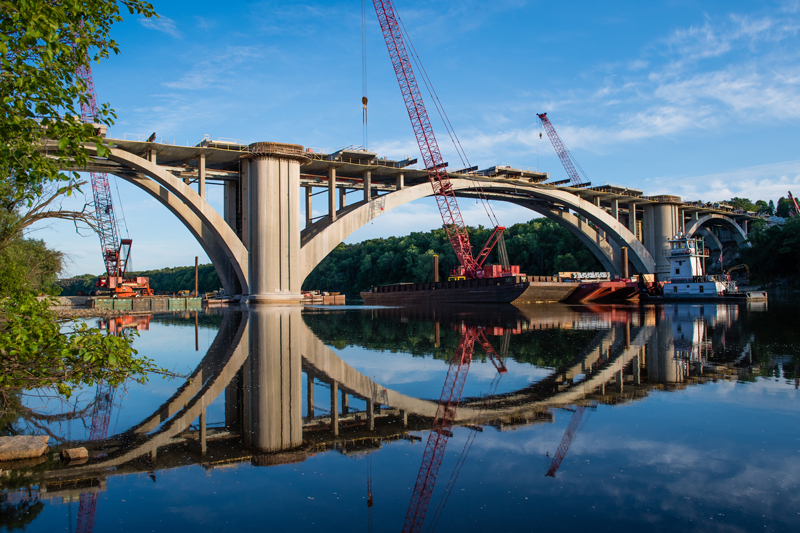 The 1,000-foot span’s reconstruction in 2016 is the second-largest project to date in the United States to use field-cast UHPC connections between precast bridge deck panels. 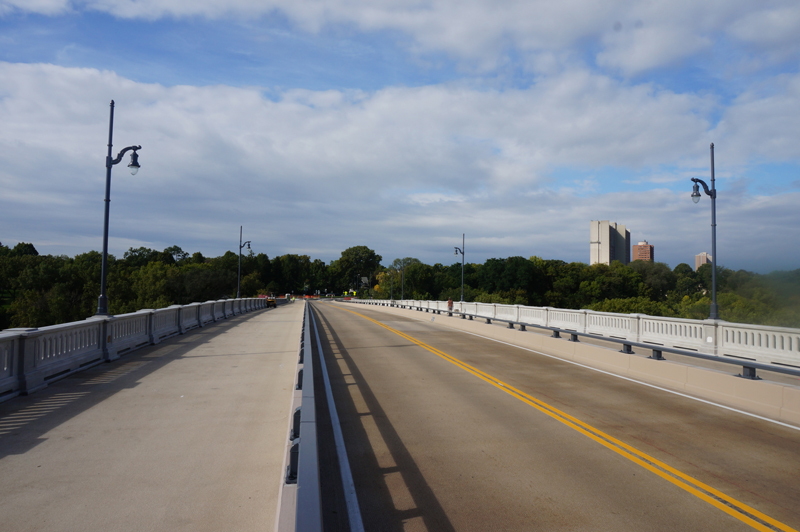 Hennepin County chose an accelerated bridge construction approach for the rehabilitation project to minimize disruption to users of the bridge, which connects two major pedestrian and bike corridors near the University of Minnesota. Prefabricating the deck panels offsite reduced bridge closure time and the need for detours. When the county advertised the project, it specified the use of UHPC to connect the deck panels to improve construction aspects and durability of the finished product. Crews completed below-deck concrete rehabilitation at the bridge site while the 350 deck panels were cast at an upriver location. The panels were floated by barge to the bridge for placement once the bridge was closed to traffic. Installing the deck panels, pouring the UHPC connections, and finishing the deck surface were timed for the summer months when many university students were out of town. The completed bridge reopened to traffic on September 1. Read a case study on the Franklin Avenue Bridge project for lessons learned on using accelerated bridge construction, precast deck panels, and UHPC. Watch a video to learn more about UHPC and see its use on the Franklin Avenue Bridge and other projects. Contact Benjamin Graybeal of FHWA’s Turner-Fairbank Highway Research Center or Mark Leonard of FHWA’s Resource Center for information and technical assistance on UHPC connections for prefabricated bridge elements. Why Use Ultra-High Performance Concrete? Ultra-high performance concrete (UHPC) is a steel fiber-reinforced, portland cement-based material that has superior mechanical and durability properties compared to conventional concrete, making it a good match for field construction with prefabricated bridge components. UHPC was used in the construction of more than 150 bridges in the United States and Canada. In the majority of the projects, UHPC was used to make strong connections between prefabricated elements. Field casting of UHPC connections between prefabricated bridge components makes construction easier, is cost effective, and produces a higher quality product than possible with conventional construction materials. After generating widespread interest among States during Every Day Counts round three (EDC-3), data-driven safety analysis (DDSA) is back for an encore in EDC-4—this time with an added focus on local deployment. During EDC-3, more than 40 States implemented DDSA at some level, and 44 States made 145 technical assistance requests to the Federal Highway Administration’s DDSA deployment team. This strong interest was a driving factor for including DDSA in the 11 EDC-4 innovations FHWA is promoting in 2017 and 2018. Data-driven safety analysis uses new, evidence-based models that help transportation agencies target safety investments with more confidence. DDSA is the application of the latest generation of software tools for analyzing crash and roadway data. These tools quantify expected safety impacts, enabling agencies to make more informed decisions, better target their investments, and reduce severe crashes on roads. For EDC-4, the deployment team will continue to help States incorporate DDSA into their processes, policies, and projects, but a new emphasis will be on assisting local agencies. Many local agencies have already implemented DDSA, with much success. 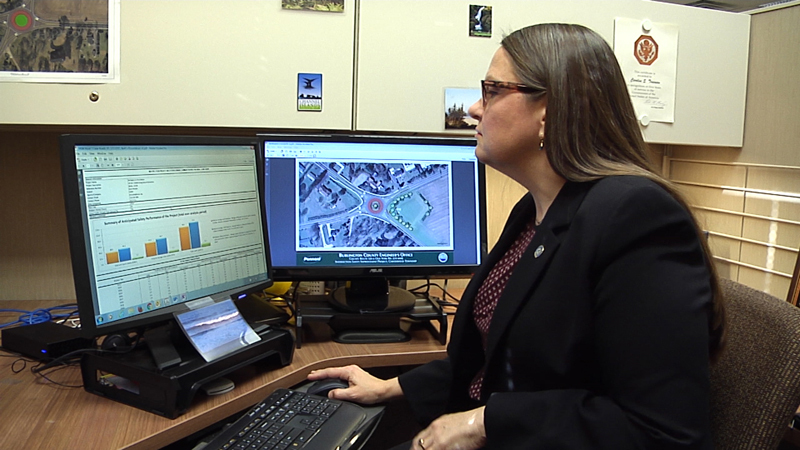 In Thurston County, WA, the public works department used systemic analysis tools to prioritize projects and better target their safety investments. The analysis allowed the agency to better identify at-risk locations on its system. In Maricopa County, AZ, the Maricopa Association of Governments—the regional metropolitan planning organization—worked with county agencies and FHWA to develop data-driven road safety assessments. The Minnesota Department of Transportation (MnDOT) used DDSA tools to develop road safety plans for each of its 87 counties. The analysis showed that half of fatalities across the State were on local roads, so MnDOT shared funding with the counties to help them implement the plans, based on the data. “The DOT really understood that if you want to make a true safety difference, then we have to get that money down to the local level to start shifting the culture,” Miller said. Ultimately, DDSA allows agencies to make safety investments with more confidence. Watch a video that explains DDSA approaches and highlights success stories. View an EDC-4 webinar on DDSA. When it was time to rehabilitate a busy interchange bridge over I-95 in Fairfield, the Maine Department of Transportation (MaineDOT) recognized the importance of completing the deck replacement work quickly and with minimal disruption to travelers. 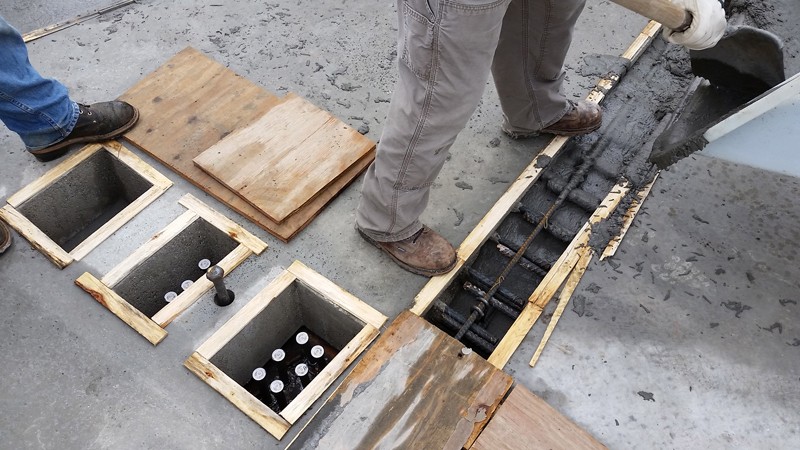 Crews used ultra-high performance concrete connections to quickly join prefabricated concrete deck panels on a Maine bridge project. 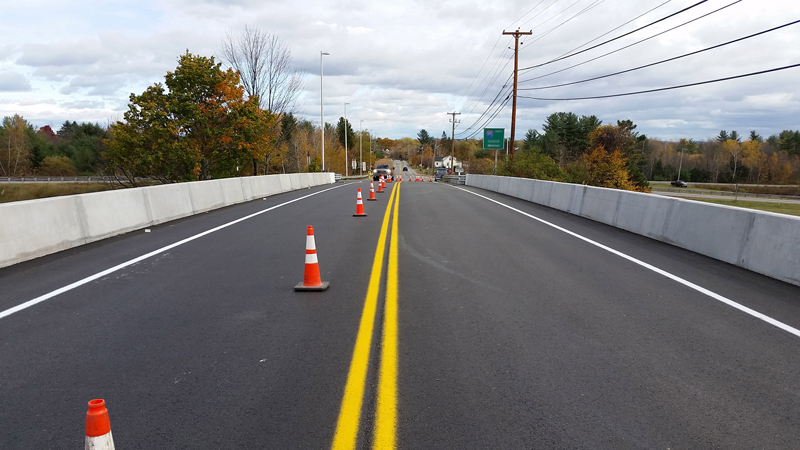 STIC Incentive program funds helped the Maine Department of Transportation use innovation to accelerate the replacement of a bridge deck on a busy travel corridor. 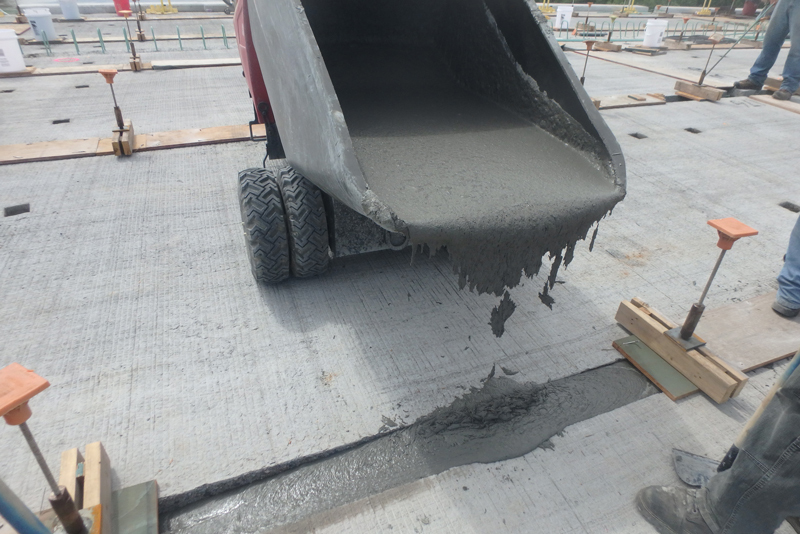 MaineDOT obtained State Transportation Innovation Council (STIC) Incentive funds to use prefabricated concrete deck panels with ultra-high performance concrete (UHPC) connections to accelerate the construction schedule on the Western Avenue Bridge project. The STIC Incentive program provides Federal funding to help transportation agencies and other public sector STIC stakeholders make innovations standard practices. Through the STIC project, the county produced standard drawings incorporating NEXT beams that can be used in multiple applications for low-cost bridge replacement and rehabilitation activities, which will help shorten the time needed to complete design plans for projects. An added benefit is saving on design costs by eliminating redundant design activities. Using innovative materials and technologies on the first-of-its kind project for Maine enabled the project team to replace the deck of the Western Avenue Bridge in 52 days, about 78 days faster than traditional construction. MaineDOT is applying what the project team learned on the project as it develops standard details, specifications, and design guidance for using full-depth precast concrete deck panels with UHPC joints on future projects. In Maryland, the Prince George’s County Department of Public Works and Transportation used STIC Incentive funds to develop standard drawings and specifications suited to low-cost bridges and culverts. The county chose the Northeast Extreme Tee—or NEXT—beam as the structure type to reduce construction costs compared to other structure types the county commonly uses. The county plans to share the standards with FHWA, the Maryland State Highway Administration, and other local governments so they can use them to save time and money on bridge projects. STIC Incentive funds helped the Ohio Department of Transportation (ODOT) develop guidance on how to improve the quality and streamline the production of feasibility studies and alternative evaluation reports, environmental documents important to project development. The project was part of ODOT’s ongoing effort to improve the quality of project documents required under the National Environmental Policy Act. Clearly explain the information used to narrow the range of alternatives. Focus on relevant data while avoiding unnecessary length. Add technical information by reference rather than in the body of documents. An accompanying document contains examples—including graphics, texts, and tables prepared under ODOT’s project development process—that illustrate the techniques discussed in the guidance report. Several States are at work on 2017 STIC Incentive program projects to incorporate innovation into their practices. The Kansas STIC, for example, is using funds to develop revised processes and training needed to continue the State’s implementation of 3D subsurface modeling. The New Jersey STIC obtained incentives for a project to evaluate unmanned aerial systems with the goal of developing guidance and specifications for bridge inspection and traffic incident monitoring. In Utah, 2017 STIC funds will go toward creating a geospatially enabled indexing program to provide easy access to data throughout the Utah Department of Transportation. The Vermont Agency of Transportation will develop an electronic document management system for construction standards. The Washington State Department of Transportation will evaluate ground-penetrating radar to determine the in-place density of asphalt mixtures. See more examples of how STICs across the country are using funds from the STIC Incentive program, which provides up to $100,000 a year per State. Contact Sara Lowry of the Federal Highway Administration’s Center for Accelerating Innovation for information on the STIC Incentive program. The State Transportation Innovation Council Incentive program is just one of the resources the Federal Highway Administration offers to help States and their transportation partners deploy innovation. 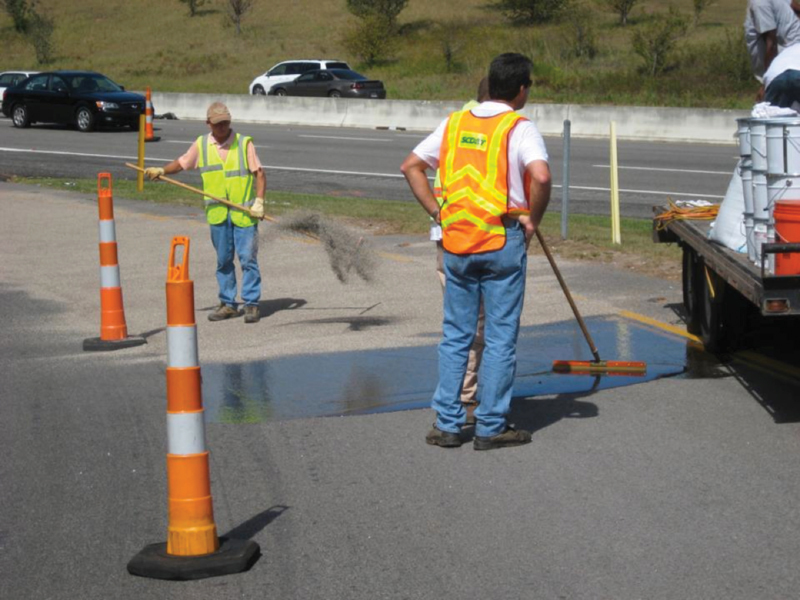 FHWA formed deployment teams for each of the 11 innovations in Every Day Counts round four (EDC-4) to provide the transportation community with information, technical assistance, and training, including workshops and peer exchanges. See the EDC-4 contacts for experts to call for assistance. The Accelerated Innovation Deployment (AID) Demonstration program awards funding of up to $1 million for highway projects that use proven innovations in any project phase. See an overview of 62 projects that received more than $44 million in AID Demonstration grants. Contact Ewa Flom of the FHWA Center for Accelerating Innovation (CAI) for details on the AID Demonstration program. Another option is the use of an increased Federal share of up to 5 percent for projects using innovative project delivery methods. This option incentivizes the use of innovation to help deliver projects more efficiently and deploy proven solutions that make a difference. Contact Sara Lowry of CAI for more information. e-Construction processes on construction projects. A regional e-Construction summit in Portsmouth, VA, enabled more than 100 transportation professionals to share how e-Construction processes can improve efficiency, collaboration, and safety while boosting accuracy and lowering costs. The 2-day summit in October 2016 provided a forum for participants to discuss leveraging e-Construction technology on construction projects and address challenges related to implementing paperless processes. It was organized by the Federal Highway Administration, U.S. Department of Transportation, Virginia Department of Transportation (VDOT), and University of Virginia Transportation Training Academy. An Every Day Counts round four (EDC-4) innovation carried over from EDC-3, e-Construction involves creating, distributing, reviewing, and storing highway construction documents in a paperless environment. At the summit, transportation department staff from Delaware, Florida, Iowa, Pennsylvania, Utah, and Virginia as well as industry representatives made presentations on case studies and implementation strategies. Among the topics covered were deploying electronic document management systems, using mobile devices to make work environments more organized and accessible, creating 3D and 4D design documents to improve constructability and save costs, and implementing e-ticketing to document construction site deliveries. Representatives for VDOT discussed the use of 3D modeling on the Gilmerton Bridge replacement project in Chesapeake. The design team added a layer, or dimension, in the model to include scheduling data. The team said the 3D tool was helpful, given the proximity of the project to a railroad and the old bridge. With this tool they could model the construction sequence and factor in use of heavy construction equipment in the tight spaces. The Florida Department of Transportation (FDOT) presentation described the agency’s use of a program to organize electronic data. This tool allows users to upload and review project documents, logs, punch lists, and plans. 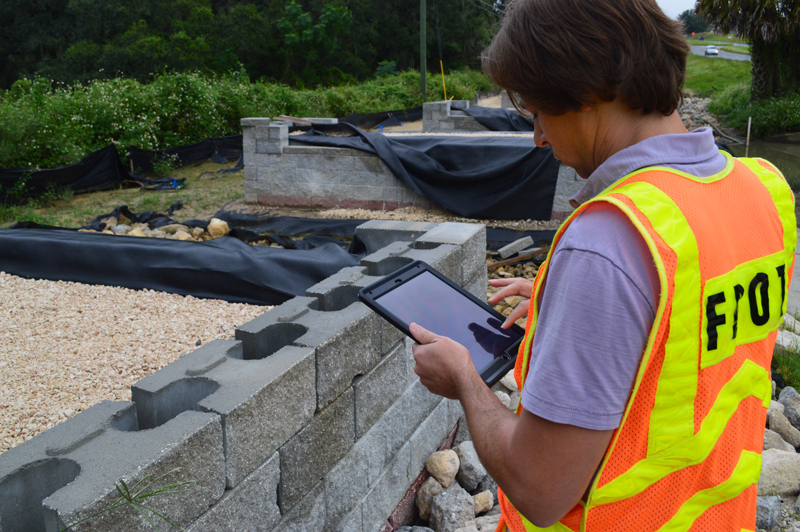 It contains a library of forms that guide the construction manager or inspector through FDOT’s construction process. After these documents have been finalized and approved, they are uploaded to a long-term storage system. Presenters from the Pennsylvania Department of Transportation discussed the agency’s development and implementation of a storage system solution called CDSv3 (Construction Documentations System Version 3). CDSv3 identifies the source of different supplies needed for a project, keeps track of project site activities, and reports facility and project punch lists. Using CDSv3, which cost $3.1 million to develop, generated savings of $13.5 million in 3 years. Participants also heard the industry’s perspective on the use of unmanned aerial systems. About 1,500 drones are in use for construction purposes in scenarios such as analyzing project progress, measuring quantities, doing inspections, and checking environmental compliance. A demonstration showcase enabled 75 transportation professionals to observe the use of prefabricated bridge elements and systems on a Topock, AZ, project. The Arizona Department of Transportation and Mohave County built a bridge over the Sacramento Wash to eliminate the need for road closures caused by flooding. Mohave County received Accelerated Innovation Deployment Demonstration funds to use innovation on the project, Arizona’s first to use prefabricated bridge elements to accelerate construction. The bridge elements were constructed offsite and transported to the project site for assembly during a 96-hour road closure. After a replacement project using the construction manager/general contractor (CM/GC) delivery method, the George E. Tryon Bridge over the South Fork of the Smith River in Del Norte County, CA, is open to traffic. Federal Lands Highway chose CM/GC contracting because of the challenge of building an arch bridge at a constricted site under complicated project conditions. Using CM/GC helped mitigate risk, incorporate constructability considerations, realize cost savings, and limit environmental impacts. Other project partners include the Six Rivers National Forest, Del Norte County, the California Department of Transportation, and California State Parks. A bill allowing the use of CM/GC project delivery as an alternative contracting method was signed into law in Montana. The Montana Department of Transportation worked for years to achieve passage of legislation enabling it to use CM/GC contracting to accelerate project delivery while mitigating risk and fostering innovation use. The agency plans to begin work on delivering the State’s first CM/GC project. Texas officials celebrated the completion of a toll lane project on State Highway 71, a major corridor that connects drivers to the Austin-Bergstrom International Airport, Bastrop, and other central Texas communities. The Texas Department of Transportation used the design-build contracting method on the project, which added a toll lane in each direction on the highway. The project’s purpose is to enhance safety and reduce congestion in the corridor. The new lanes are designed to offer a free-flowing and reliable bypass route for through traffic. Snohomish County, WA, plans to apply high-friction surface treatments on 14 roadway curves where wet weather conditions have caused problems for drivers. The treatments involve applying high-quality, durable aggregates with a binder to provide motorists with better traction. Snohomish County Public Works identified the locations through an in-depth review of crashes on county roads. The project is scheduled for this summer.